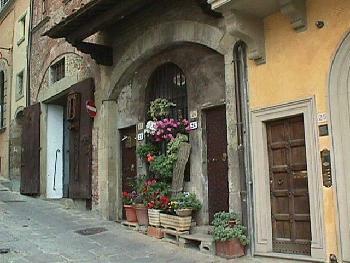 Eventhough these doors open up onto a narrow street the occupants have found enough room to liven up the area with various flower pots. Photo by www.CyberCucina.com. Used by permission. Copyright © 1999 by La Cucina Rustica LP.